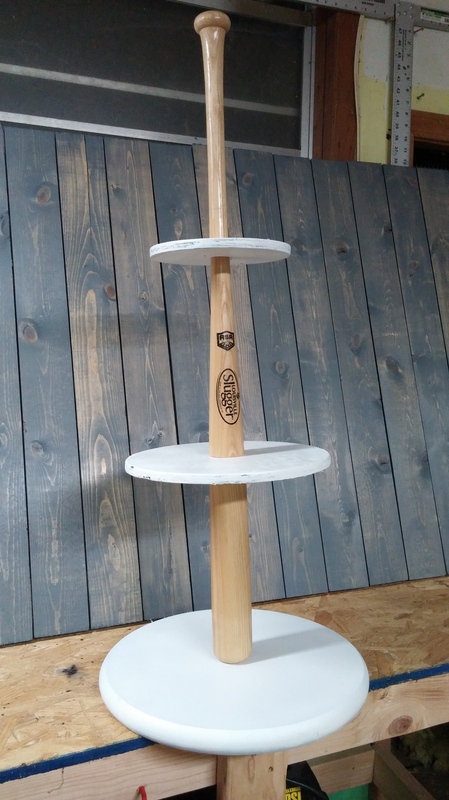 I posted about George’s birthday a couple weeks ago, but I forgot to post the tutorial about the cupcake stand using baseball bats. Whoops. Here is how we made this happen. We bought a maple softball bat. Regulation wooden baseball bats have black handles, and that was not the look we were going for. 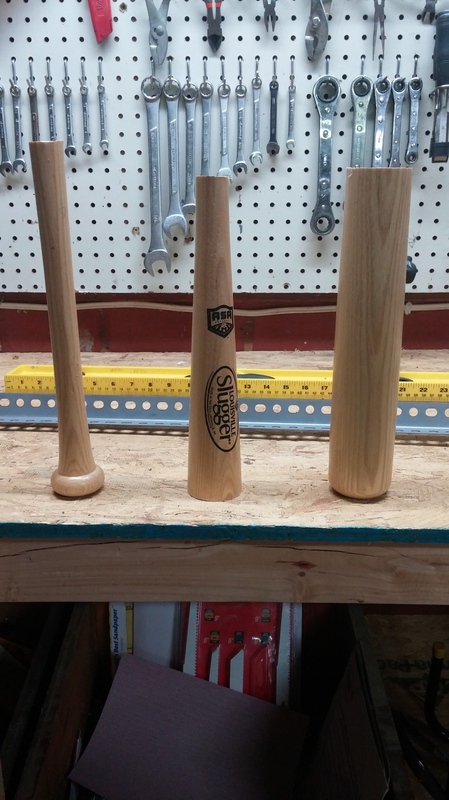 First step is to cut the bat into three somewhat equal pieces. It is a little tricky cutting the bat because it doesn’t lay evenly. It is better to have two people to stabilize while the cutting is happening. We used stacks of washers to level the bat out as much as possible. 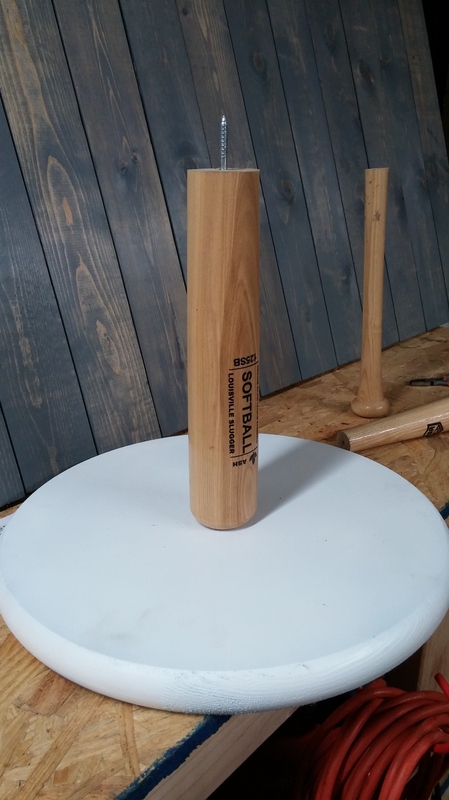 After drilling pilot holes in the ends of the bat, you can screw in the double ended dowels. 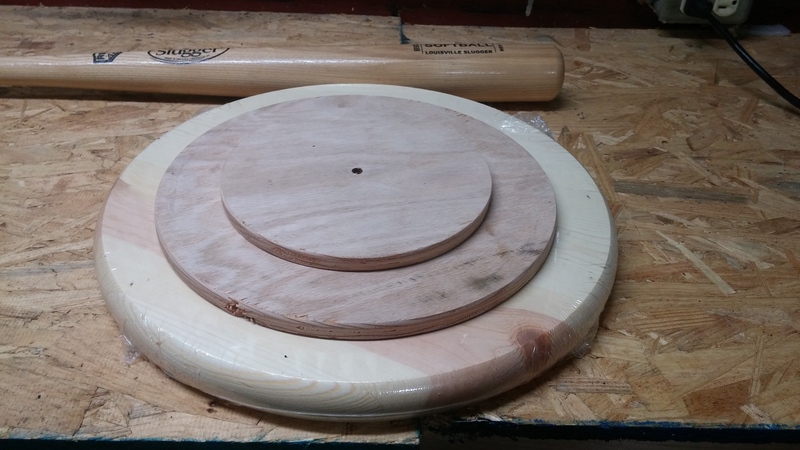 You will need three circles out of high grade plywood. They will all be different sizes. We actually used a precut for the bottom largest size. 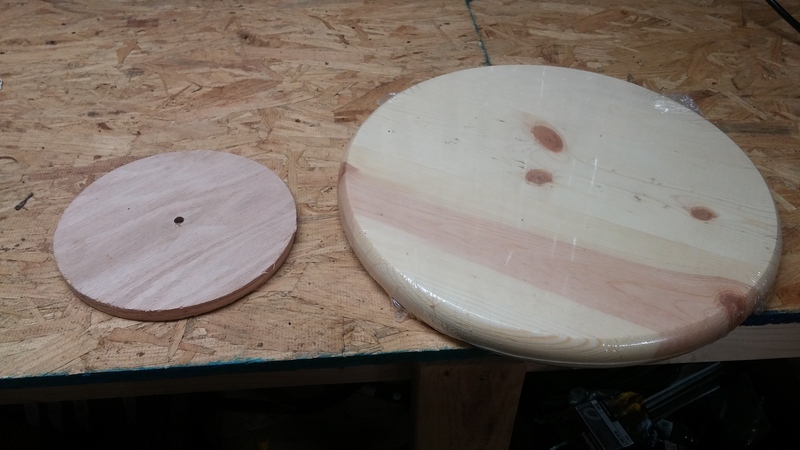 It was a precut lazy susan. We weren’t able to find the other two precut, so Tom cut the other two. 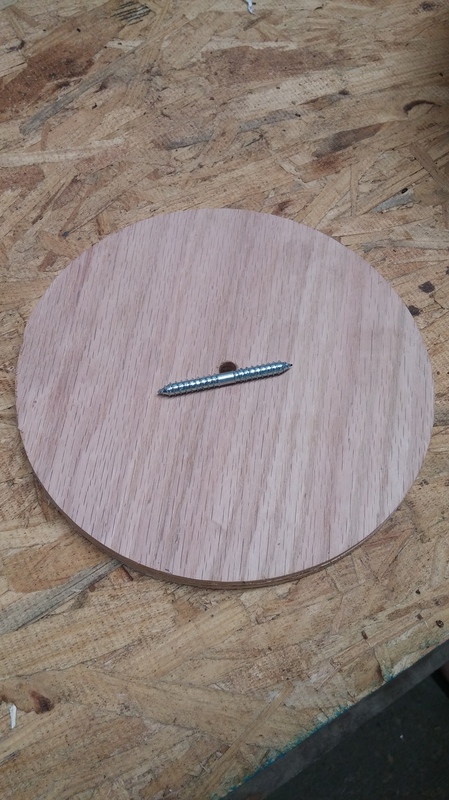 For the smallest, he used a circle cutter bit. For the middle circle, he cut it out with a jigsaw. 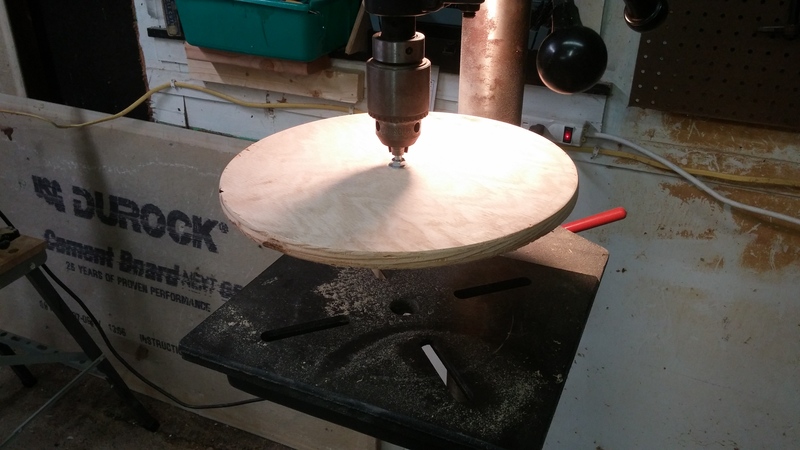 He centered a bolt through the middle, and he put it on his drill press (pictured below) to sand the edges while it was spinning. Then Tom painted all the circles white. Once the painting was done, we just pieced everything together with the dowel screws. 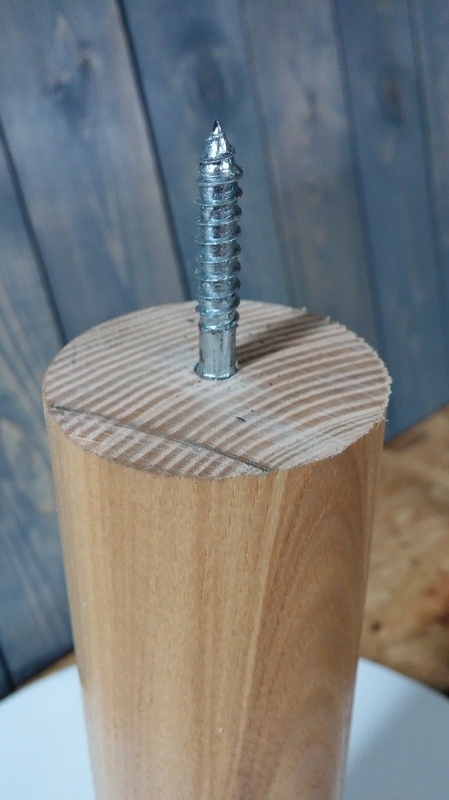 Tom used a lag bolt on the bottom to hold it together. 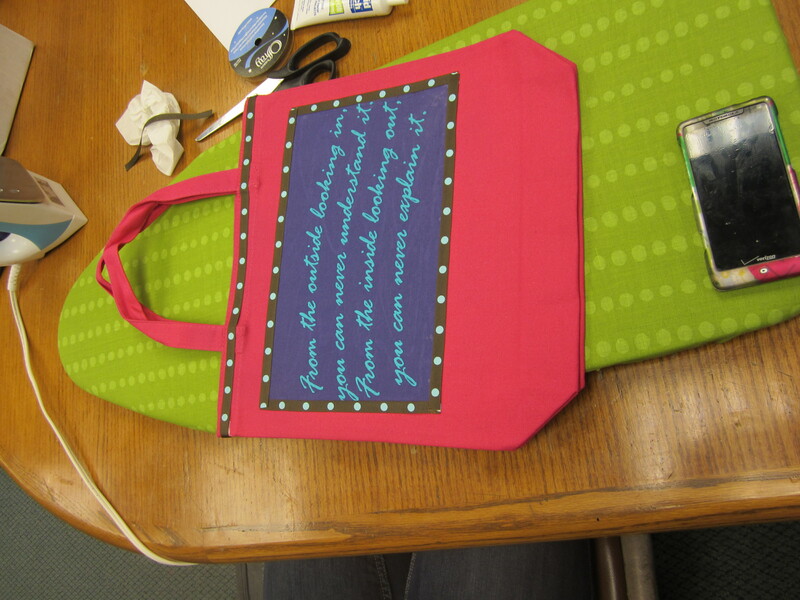 Then I used a paint pen and plates as my stencil to do the stitches. There you have it. 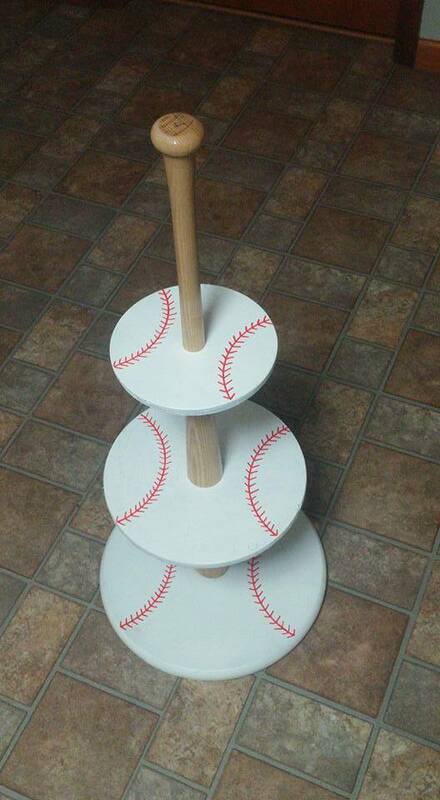 It is perfect for desserts, but I am sure George will find other fun things to put on this stand when the time comes. 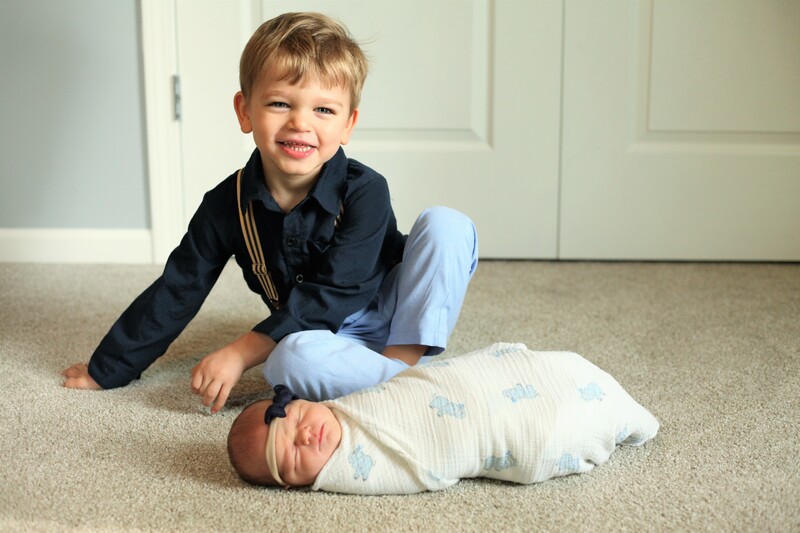 I am working on an update on our house to share what we have been up to around here. I am glad to be using our creative juices again! George’s birthday projects really sparked us to get our craft back on. Here is another opportunity to link up about fall things! We hope that you join for today’s prompt! What are you inspired to make this time of year? Are you getting gifts ready? 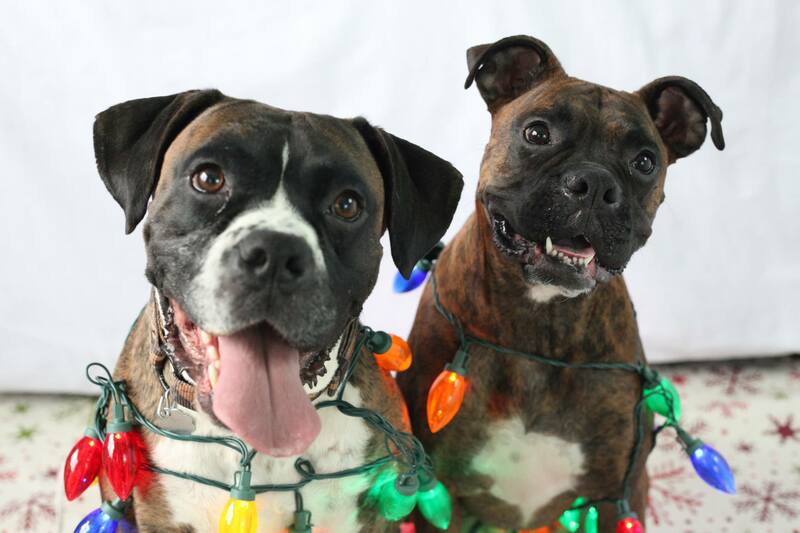 Are holiday decorations coming out? Show us your autumn creations! 1. Do one entry or all! It’s up to you! 2. Add your entry’s link below, and be sure to put the button in your post! 3. 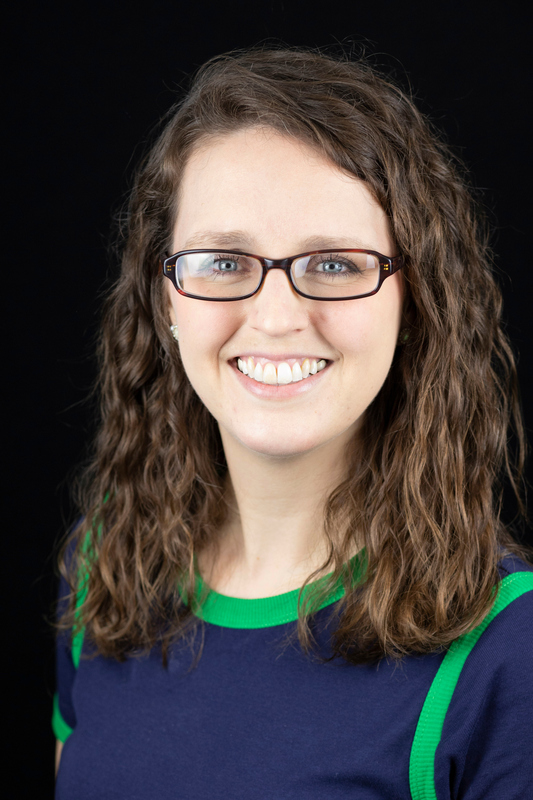 If you do link up, check out a couple fellow bloggers to see something new. Our front door wreath recently fell to it’s tragic death. And I mean literally fell. It is not the first time it has fallen, and we have fixed it numerous times. We had surgerized it with fishing wire, gardening wire, hot glue, adding more ribbon to cover tears, and screws. This time, Tom made me realize that it was time to make a new one. And just in time for this link up. This is fairly inexpensive to make on your own. 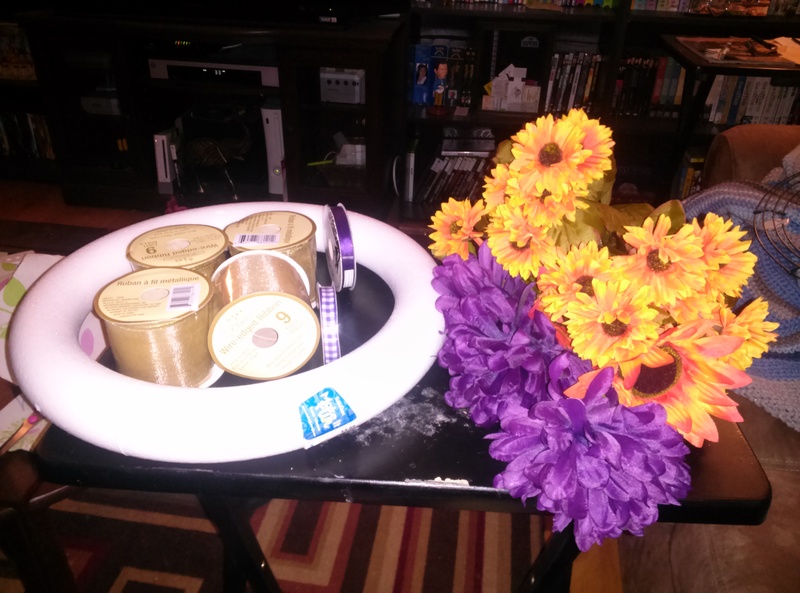 I got pieces from Walmart, the $1 store, and Hobby Lobby. I think I maybe spent $15 which is much cheaper than buying a pre-made wreath. 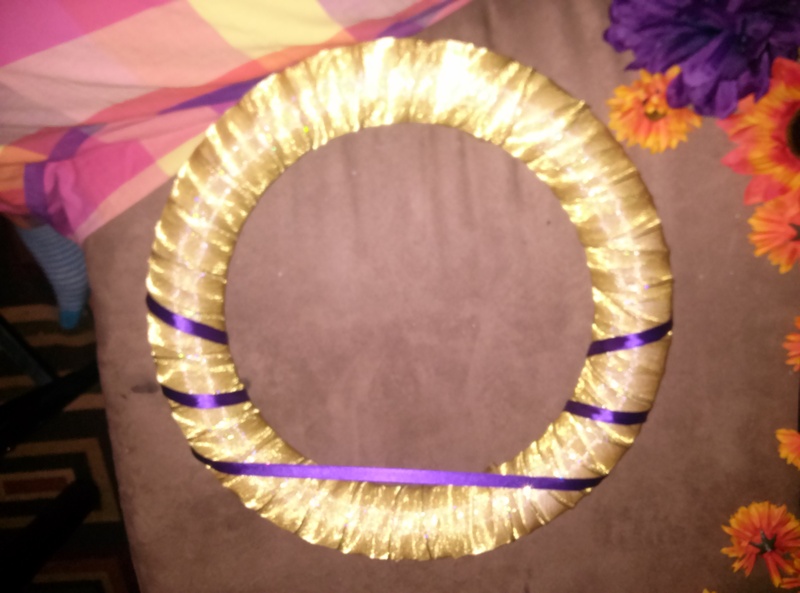 I first wrapped with the wide gold ribbon, then spaced out the small purple. This is sooooo much easier than the yarn wrapping because you cover more ground with less. The last one I did was a work out for the arms wrapping all the yarn. Then I took the flowers and placed them where I felt was the best position. I kept over thinking it each time I thought I was done, but that is the fun part of doing it on your own. 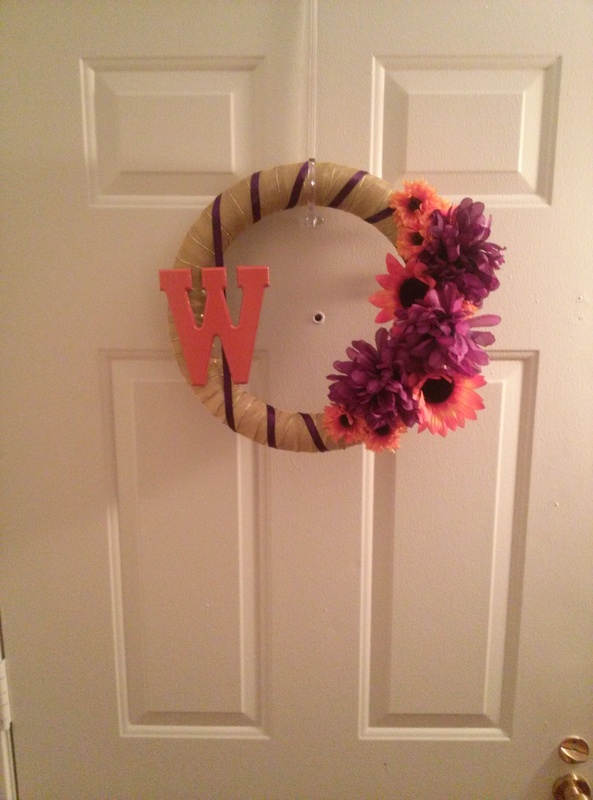 I also added the wooden “W” which is the surviving piece of the previous wreath. I just spray painted it to match this one. I love that fall colors also happen to be Clemson and Phi Sigma Pi colors. 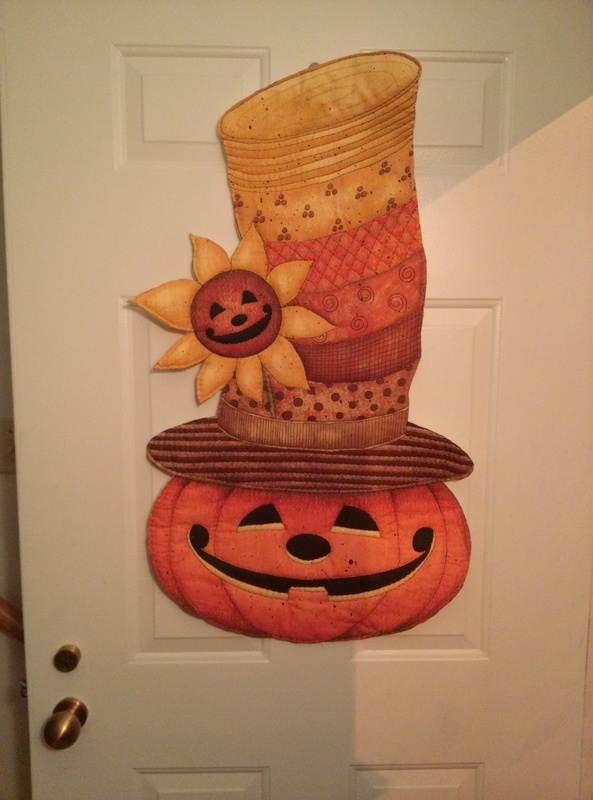 Here is a fall craft that Tom’s Grandma just made us. I hope someday I can have her sewing skills! that seems to be a big deal for the Whitener women. So what crafty things do you have up your sleeves? Link up below! We hope to see you return on Sunday for the final link up with the fall collage! You can see the full schedule for our Autumn link up here. 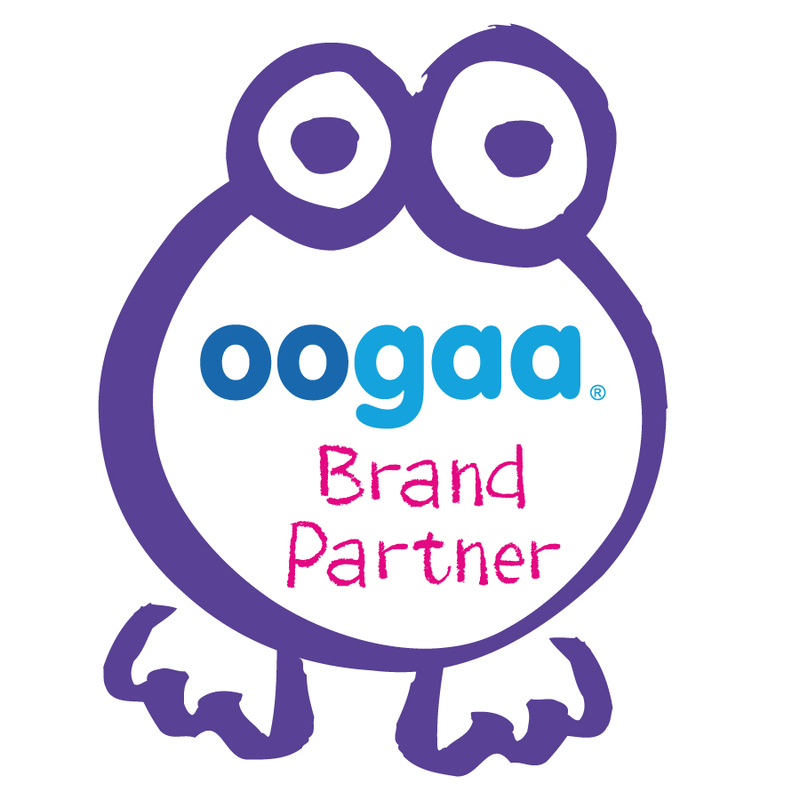 Check out my lovely partner! I will say that my husband is very good at compartmentalizing things. It is a skill that I envy at times. He is good at separating things and knowing when to appropriately deal with them. So for the most part, I would say that the adjustment is going really well. He is awesome, what can I say? There have been a few minor things for us to work through, but you have to make adjustments in any relationship when circumstances around you change. You learn and adapt with the growing pains. You talk it out and figure it out together. If you don’t then you are just stubborn. I will admit, I have had my own few moments of stubbornness since Tom has gotten back which I have since learned the error of my ways. In most cases, we have picked up right where we left off when he left in September. But there have been small nuances that I noticed that I tried to change without understanding. Because my world hadn’t physically changed, I forgot in those moments that so much had for Tom. Seeking to understand was something that I preach every day at work, and here I was assuming that I know everything about Tom. Whoops. 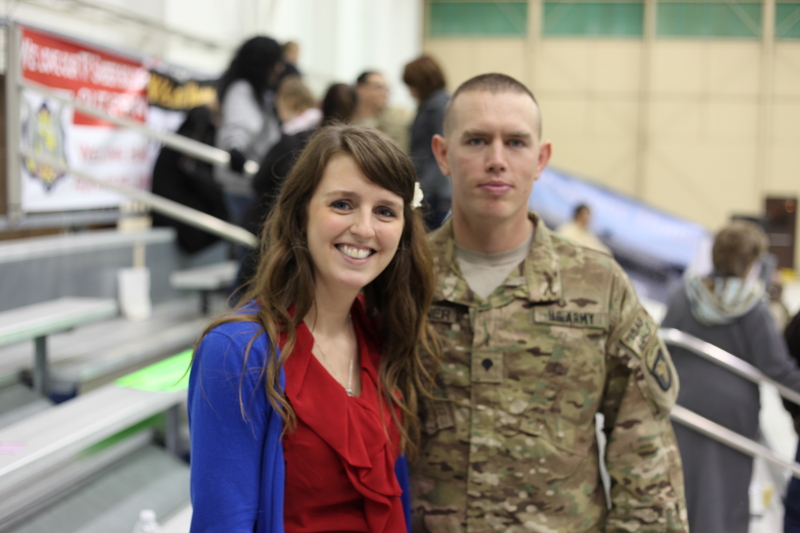 There are many things about the deployment that I still don’t know or will never understand. It is what it is. He experienced it so I don’t have to. 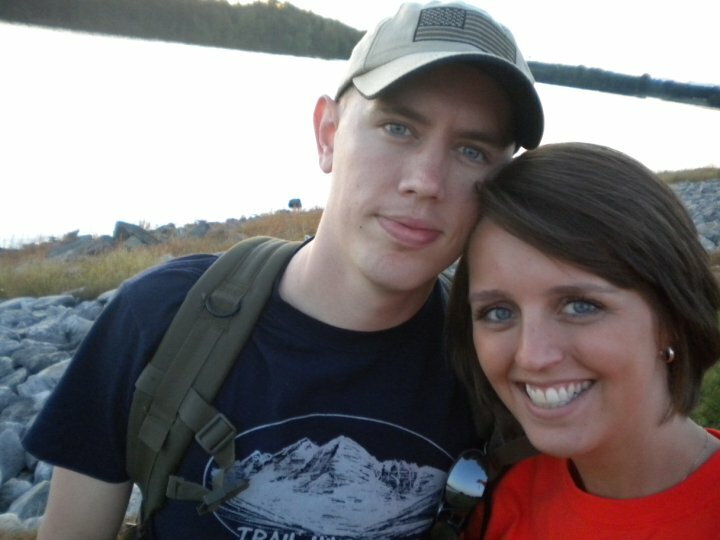 Regardless if I think about it or not, the deployment is part of who he is now. I just need to be patient and willing to ask questions and not always get an answer. Ain’t that the pits though? Everyone has little quirks that we have to accept and move past lovingly. The best way we are getting through that is being open and honest with each other. We both have to be patient and be willing to say “I’m sorry.” That’s about all you can ask for really. Like I said, we are doing just dandy adjusting back to both being in the states and we are creating our happily ever after for once. Life is a constant roller coaster. It goes a lot smoother if you lean in a little bit and change your position based on the turns. I am serious on that one. I rode roller coasters for a living for a few years. (Yay Worlds of Fun!) If you sit back against the seat in resistance, you don’t enjoy the ride as much, and it may seem bumpier or a “rough ride.” Life is just like this. You have to lean in a bit on the corners and just ride it out. And sometimes you put your hands in the air and scream it out. Who doesn’t love a little air time? This week my craft comes from my staff. We do fun on ones once a semester to change up our normal weekly office meetings. They get to choose what fun activity we do, and this time one of my staff wanted to make something for our event. So craft away we did! 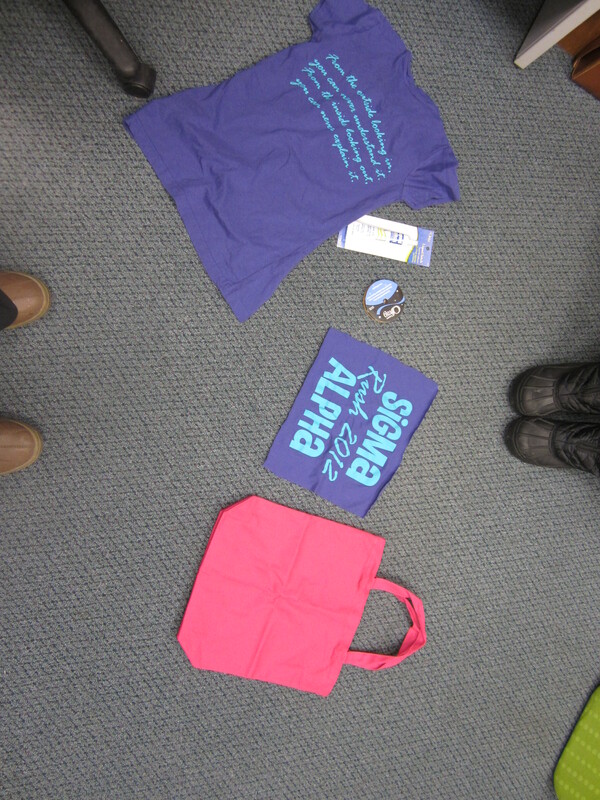 She bought a canvas bag, ribbon, liquid stitch, and the t-shirt she wanted to use. 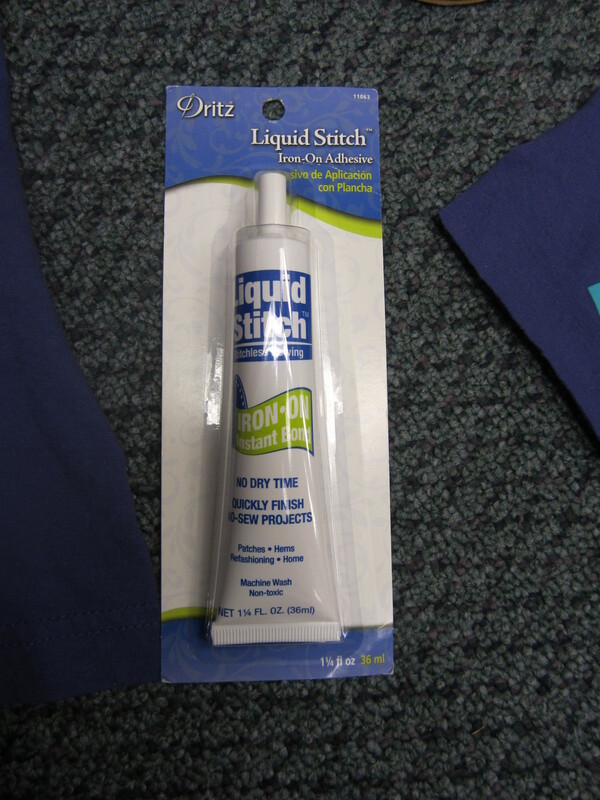 Liquid stitch is awesome! I had never heard of it before Megan introduced me to it. 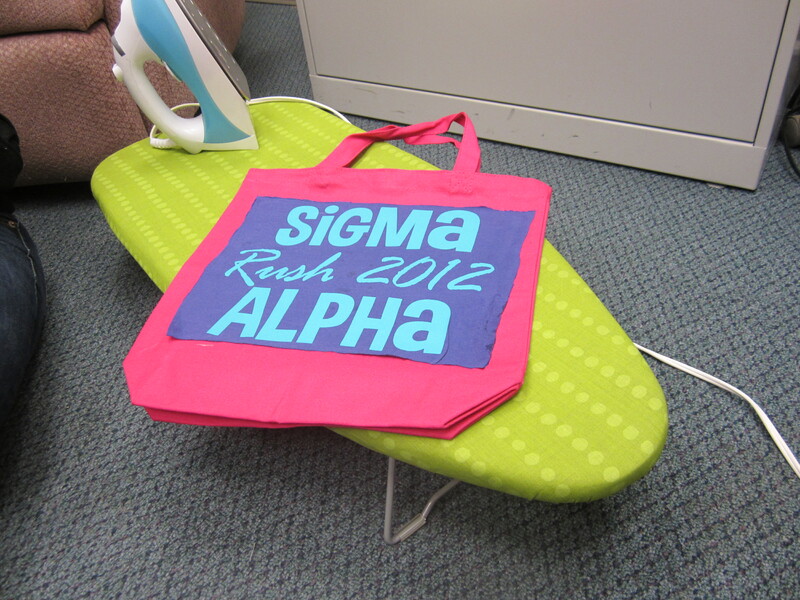 You just have to iron it! Mind blown. Megan did most of the work. I just assisted with cutting and placement holding. 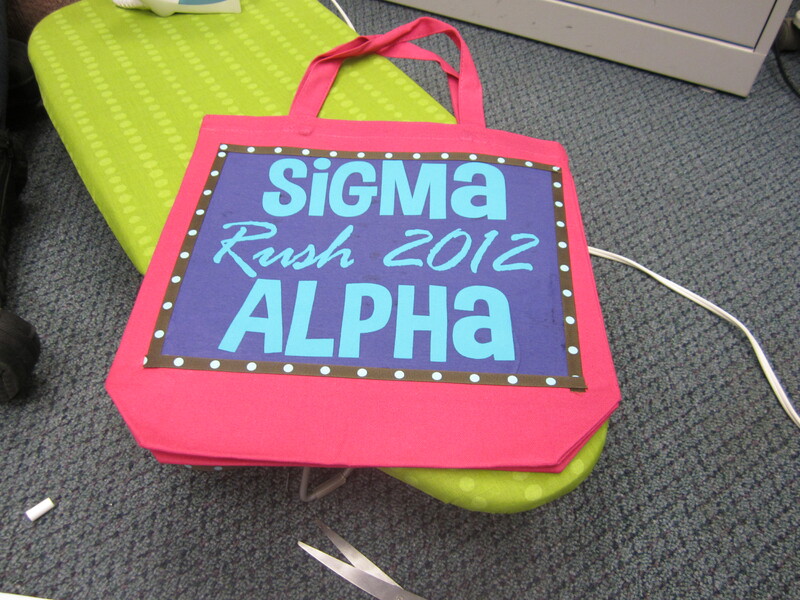 But who doesn’t love crafting as part of your job? Nothing is going to bring you down when you are about to see your love after 6 months of the unknown. Not even pulling an all-nighter. For those who know me, they are well aware that I am not a happy camper without my sleep. I become a much angrier version of myself. I have nightmares of what my last all-nighter looked like my freshmen year of college with Amy as we studied for our American Government final-wretched. Tom was scheduled to come in at 7pm originally, which with that I figured we would have an all-nighter anyway with not having seen each other in 6 months. But that was on my terms. The first lesson you learn in the military is that plans always change at the last minute. Days before his trip, they pushed back the flight arrival to 1:30am. Oh goodness. 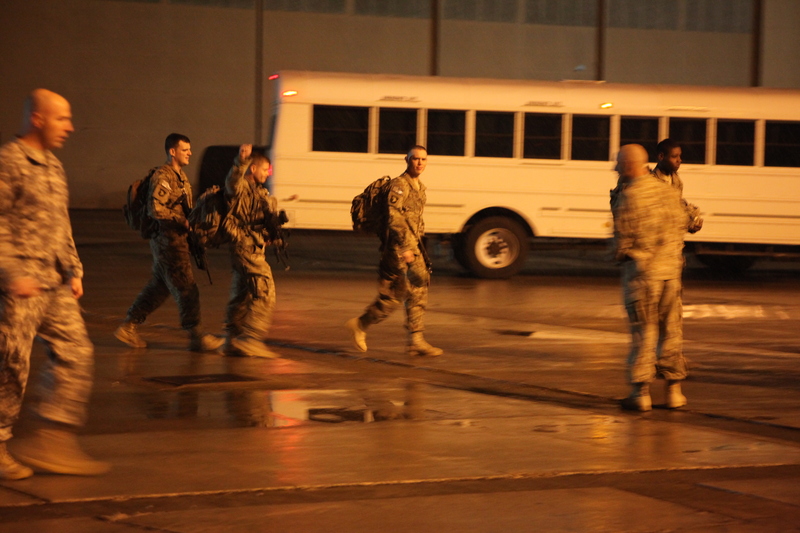 And of course you have to be there several hours before they actually land, so I drove up to the parade field at 10:30pm and boarded what looked like a prison bus with several other wide-eyed families so they can take you to the hanger outside of the airfield. Then you just sit on these hard cold bleachers in a hanger for a couple hours as a soldier counts down every 10 minutes. I played several rounds of bejeweled and tried to read a book, but my nerves were on high alert and I ended up looking at the time every few seconds. You would think the last 2 hours would be easy compared to going through 6 months of waiting. Wrong, they were the worst 2 hours of the whole deployment. And of course it is probably the one time of the year that it decided to be snowing and gross in KY. So when they had us file outside to wait for the plane for a half hour, I am pretty sure I lost feeling of my toes and nose as we were waiting for the plane to land. So here I was at 1 o’clock in the morning, wet, cold, anxious and cranky. Surrounded by other wet, cold, anxious, and cranky people. We were a sight. But then we heard that humming noise. All of a sudden, there is a plane in front of our face. It was pretty cool to see a plane land right in front of you, and even more special considering the cargo it held. Then we waited for what seemed forever for them to actually get off the plane and watch them file past us. Ugh they all looked the same in the uniforms and through the snow and tears of joy. Where was my hubby?!? And then I saw him! All the worry, all the anxiety, all the everything just melted away. I didn’t feel cold; I wasn’t tired; I was on top of the world. I have him back! I was half tempted to jump the barricade and go tackle him right there, but my better judgement won over there. Then we waited for a 5 minute ceremony to commence before we were able to actually talk with our soldiers for 20 minutes. We had our wonderful legs-wrapped-around-the-waist-hug airport moment. Nothing can compare to this moment. You are just in shock that you are touching each other and seeing each other in real life. It is a goosebump moment. Then after these wonderful few minutes, they have an exhilarating process of turning in sensitive items. This took about 4 hours…. You are not able to see your soldier during this time until the whole unit is done turning in the necessary gear. So you sit in a room with all the family members waiting for them to be released. Every time the door open, the whole room turned in anticipation and then slumped back down as we realize it was not them. My cranky pants came back on at this point. I had hit the wall. They were finally released around 6 am. We were heading back to the house as the rest of the base was coming into work. It is hard to explain the nerves and joy that washed over me during this whole process. You look over, and it is a like a surprise all over again that he is actually back. We both kept saying that this felt like a dream. It’s in those moments that everything you just went through is worth it. You are on top of the world. This song was my anthem that weekend. Every word of this song expresses how I feel to have him back stateside. And you are just really proud of what he accomplished. He just went and did something that very few in our country will do. But at the same time, you are pretty grateful that it is over for the time being. Some other fun stories from that night: There was a proposal, a separate proposal that led to their marriage in a parking lot that night, and a father seeing his few month old baby girl for the first time. I don’t think I will ever take these moments and grand experiences for granted. Going through this makes you realize what is important and how precious moments can be. Just soak it in. It makes moments like this priceless. I loved seeing how Grace loves her dad! They have been inseparable since. We are still doing the long distance for now until I move this summer, but it is unbelievable good to know that the worst of it is over. I can call him anytime I want, and see him every couple of weeks. You have to live in the moment, and be on top of the world as much as you can. It is even better when you have someone to share it with. 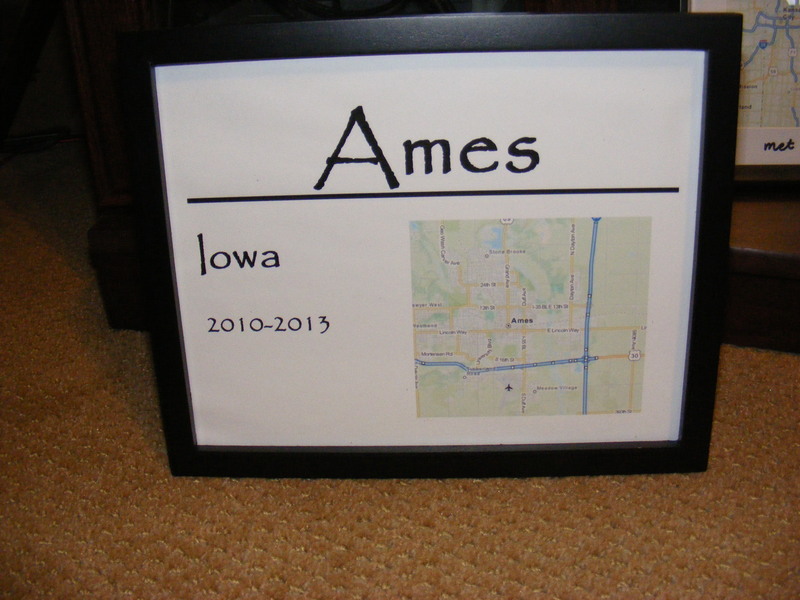 This craft is another map project to commemorate our moves. I had the place, the map, and the years we lived there. It was something I made in Publisher and then printed off. I like how clean it looks. And it really matches my last map project. And it will be easy to replicate when we move again. Thanks for hearing our story. It was a great night and I am ecstatic to have him back safe and sound. This last week was full of hustle and bustle. The holiday time meant a trip home for me. But at this moment in my life, home is an operative word. I have lots of homes. With my parents being divorced since I was four, I have never really known a time where one single place was home. And now, with the in-laws that added another sense of home to the mix. So in the last week, I had 5 family holiday celebrations, met with 3 old wonderful friends, and traveled from/to three different cities. I was able to visit and catch up with so many friends and family. Some people I had not seen in 6 years! Yay for a reunion with the Rydman family! Even with the bouncing around, all of it felt like home. It was good to be surrounded by familiarity. A week ago, I was not singing the same tune. I was down in the dumps about going home. I was very very anxious and apprehensive about my holiday vacation. I was worried that I would feel even more alone with all of the reminders about Tom being gone for the holiday season. I thought that I would get fed up with all the questions and conversations about Tom being gone and when he would return. This was also going to be the first time that I have ever spent the night at my in-laws without Tom around. Let’s talk about a Tom reminder! I thought I was setting myself up for a nervous breakdown sleeping in his childhood home. I didn’t want to think about Tom being gone, and I knew at home I would have to face it head on. Expletive said here. Luckily, I have never been more wrong! This trip was exactly what I needed. I saw my family and friends while in my hometown. It was busy busy going from one house to the next everyday, some days even more than one house. Grace and I definitely traipsed all over that town! But it was a great distraction to be so busy. And it was nice to be with the comfort of my family and have our traditions still happen even though my world is a little off-kilter. Here’s to the shrimp at my grandparents’, Christmas Day malt-o-meal with my dad and stepmom, brisket buffet with the Coles (step-extended family), and banana bread with my mom! 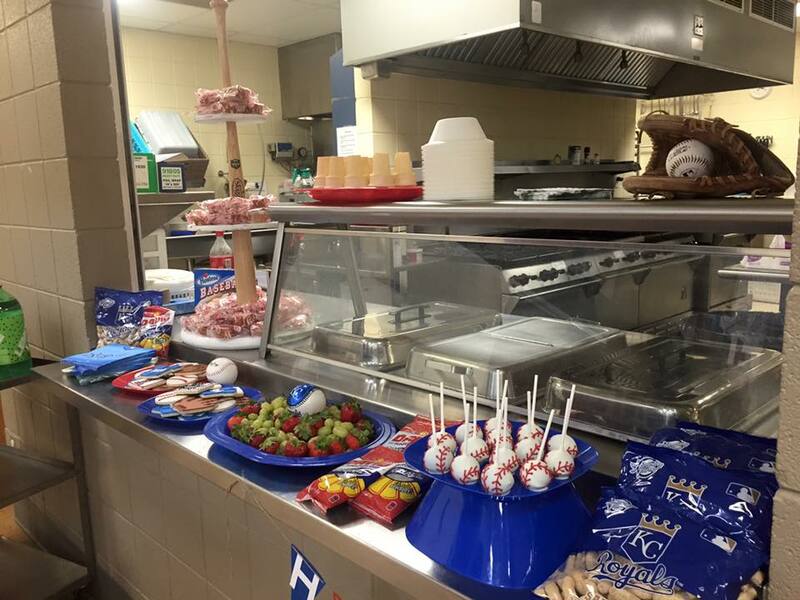 Hmm I see a theme with our traditions being based around food…. And then being able to see the friendly faces of some of my bestest friends over the years, words cannot describe how great this was. Then rounding out the Tour de Missouri, I traveled to my in-laws. Being able to talk about Tom the way we did…I don’t really know how to explain it, but it was very peaceful and calming for me. We could talk about Tom and just be normal about it. It didn’t have to be focused on the Army or being in Afghanistan. We talked about what the next couple years would look like and the plans we have for family. It was not a conversation about Tom like I have with many with pity in their eyes or a worried brow. I didn’t have to repeat things over and over, which can get exhausting at times to have the same conversation with everyone I meet. I sometimes feel like I just need to record myself with the scripted answers and just play it on loop. (He is coming home in the spring–He is doing pretty well–I get to talk to him every day, and yes I realize that is UNREAL–It’s a day by day process.) I was able to talk about Tom like he was there with us. It may sound kooky but there was a Tom aura there that maybe only I felt, but either way it was very comforting. And it was just normal. There wasn’t all this hoopla about Tom being gone and what he is doing. We did all miss him terribly and it definitely wasn’t the same, but I think we all were just tired of focusing on the fact that he is gone. We realize it’s not something we can change, and sometimes you don’t want to focus on the empty chair at the dining table. (Which is what I had been doing prior to the trip…) I don’t know if I would have felt all of this without the people who are so closely related to him reminding me of him so much. (Our niece, Ava, is so much like him, it’s silly…) So what I was most afraid of was actually the best thing for me! And there was no nervous breakdown! I only cried twice on the whole entire trip and that was because of a news report of soldiers surprising their kids by coming home (this was more of a mad/jealous cry) and then crying during Les Mis (so nothing to do with Tom-sorry babe). Success! Home took a very different meaning for me this last week. It was a place I could go to and be comforted and celebrate all the good things. It’s a place where love just kind of wraps you up like a warm blanket. It’s where you can go and feel like you never left and pick up where you left off. It’s a place that puts you at ease, somewhere to rest your hat so to speak. It’s a place where you go for family. I went to a lot of “homes” this past week, and it was a perfect way to spend my time without Tom around. And on the holiday note, this is my last homemade Christmas gift for this year. Sidebar–I feel that homemade Christmas went over really well. I had a great time with it! And everyone seemed to enjoy it on their side too. (Or my family is really good at lying to me about liking their presents.) It really was a labor of love you were giving away. So I think we all had fun with it. The only down side was trying to figure out how to transport all of it back home. Anyway, I am pretty proud of myself for this particular gift because it is my first attempt at using my sewing machine. I have not used a sewing machine since 7th grade Home Ec which was in 1997/98. So needless to say, I needed some guidance on this one. My mom helped me freshen up my sewing skills, and we used this pattern as our guide. I did not take any “as we were going pictures” since this site explains it perfectly. 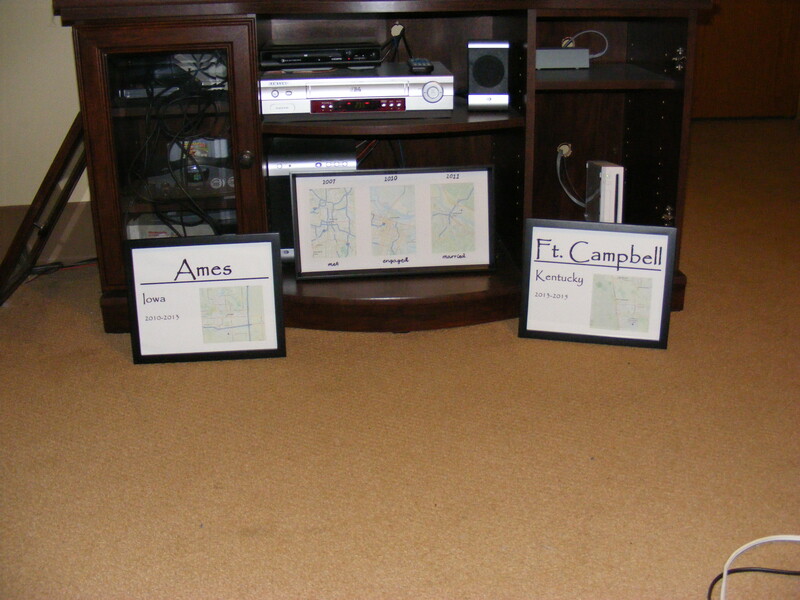 This was a pretty easy project to get back into the swing of things with a sewing machine. 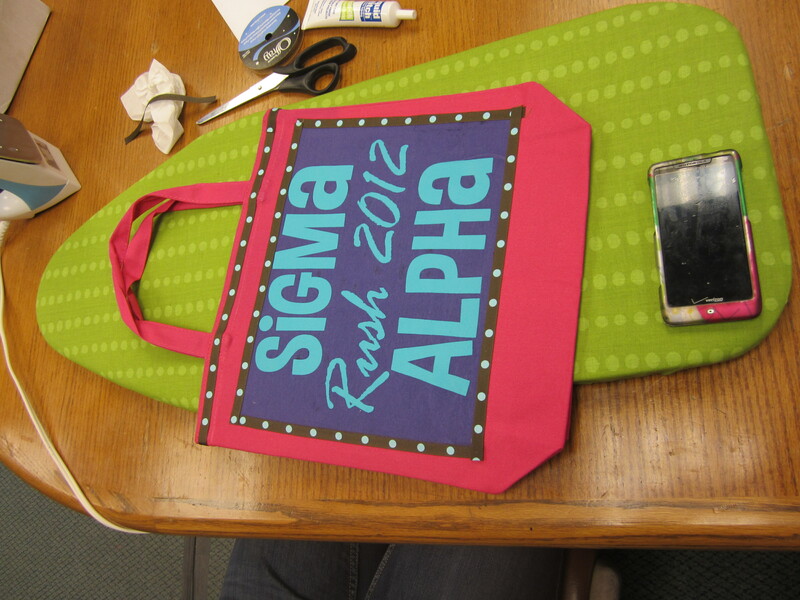 And after being reminded of how to use the sewing machine, I think I can start doing other varieties of crafts. 2013 get ready!